Last year, Tesla CEO Elon Musk sent out a baffling tweet saying that he had “funding secured” to take the company private at a share price of $420 (which some readers may recognize as the weed number). 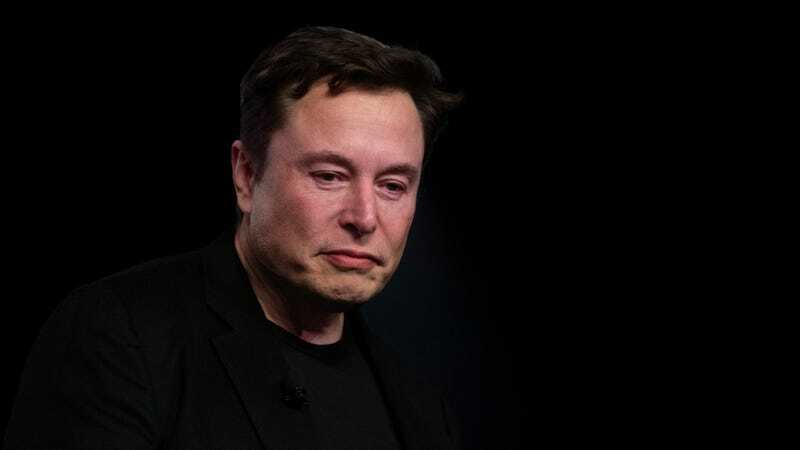 It turned out no such deal had been finalized, the Securities and Exchange Commission slapped Musk with fraud charges, and the CEO was eventually forced to settle in court—which led to him paying tens of millions in fines, resigning as Tesla chairman, and agreeing to have officials at the company pre-clear any further tweets that could affect the value of its stock. [The SEC] dismissed Mr Musk’s argument that he could decide which tweets about Tesla required preapproval by an in-house lawyer at the carmaker, arguing that he had a “demonstrated inability to discern potential materiality”. .... On Monday the SEC filed its response and said that the point of having a preapproval process was “to protect against reckless conduct by [Mr] Musk going forward”... “It is therefore stunning to learn that, at the time of filing of the [contempt] motion, [Mr] Musk had not sought preapproval for a single one of the numerous tweets about Tesla he published in the months since the court-ordered preapproval policy went into effect,” said the filing by the agency. In the document, the SEC called it “frankly difficult to follow Musk’s tortured analysis” arguing that he did not need to seek pre-clearance on Tesla tweets from company staff. The agency also wrote that Musk’s defense that he was unaware the February tweet would be seen as material to Tesla’s business “borders on the ridiculous,” as well as questioned whether the CEO had made any sort of good-faith effort to comply with the terms of the settlement.